New York family law is different then other places in the country. Divorce and custody is a complicated process as ever case is different. In regards to New York laws, new cases change interpretation of laws and how custody works all the time. It is for this reason, we recommend New York father lawyers in your state, and an experienced one in your county and city from which you case resides. For example: According to DumbLaws.com, a person may not walk around on Sundays with an ice cream cone in his/her pocket. While riding in an elevator, one must talk to no one, and fold his hands while looking toward the door. Slippers are not to be worn after 10:00p. 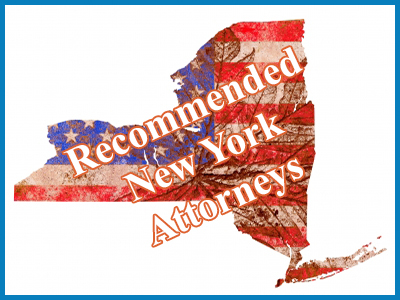 If you can recommend New York father lawyers or happen to be a family custody attorney and you want to be listed please click here to learn more.